Circling Strangers is the debut CD of the improvising string trio Bowlines (Ernie Gruner (violin/viola), Heather Stewart (violin) and Jenny Thomas (viola)). The CD is a live recording of Bowlines’ performance in Brunswick, Victoria on 27th of July, 2014. The music on this CD reveals the magical power of collective improvisation at work. The three improvisers create musical layers that blend, support, or reinforce each other in a variety of ways. Elements of musical traditions such as classical, blues, or klezmer provide the raw materials for the musicians to create new musical entities with depth and feelings. 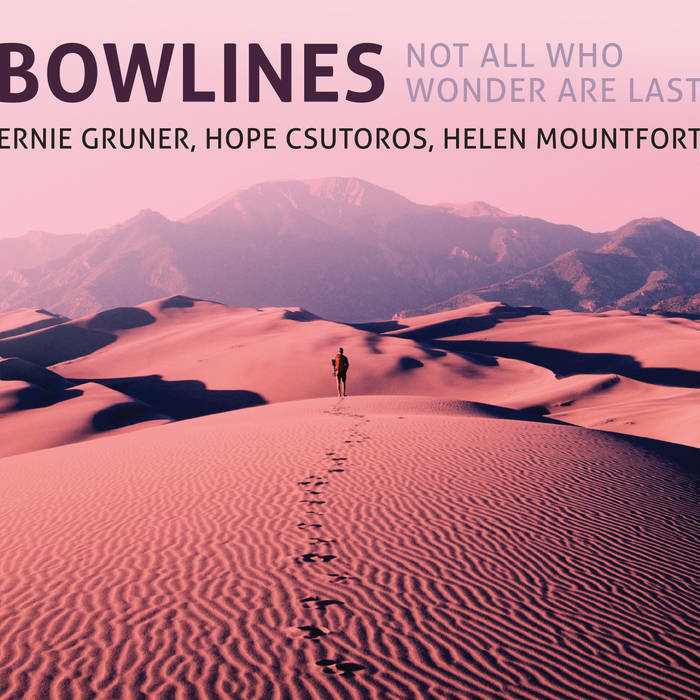 Bowlines’ music leads listeners through various moods and audio landscapes. The title track of the CD, Circling Strangers (Track 2), shows collective improvisation at its best. Here, the three instruments are perfectly unified into a musical stream that fluidly evolves in a lyrical and dynamic way. Track 3 is a little beauty in which the combination of pizzicatos, spiccatos, brief patterns and long glissandos with walking rhythms seems to depict scenes from a ballet of marionettes. The music of Waiting in Long Empty Space (Track 4) is quite emotional. At times, the strings sound as if they are moaning under the delicate bows. Taking the Mantle Again (Track 8) is characterised by long and lyrical melodies. Sweet Behemoth (Track 9) is fused with energy and is beautifully crafted with layers of tremolos and pizzicatos in varying intensities. Even though Circling Strangers only contains 35 minutes of music, the CD has much to offer to listeners who love to explore the beauty of spontaneity in improvised music.